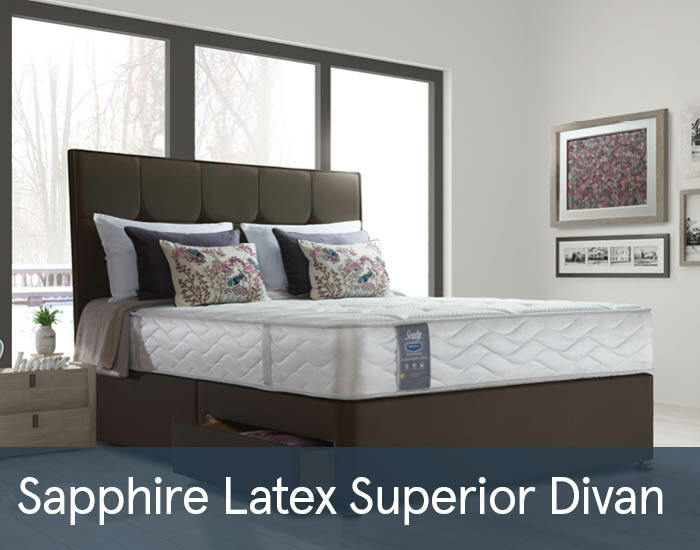 Within the Sapphire Latex Superior range, the separate mattresses are suitable for bedsteads of choice, which are easy care meaning there is no need to turn the mattress. Regular rotation from head to toe will extend the life span of the mattress. These are available in sizes from single to super king size. Divan beds are also available with different storage options (2 or 4 drawers).